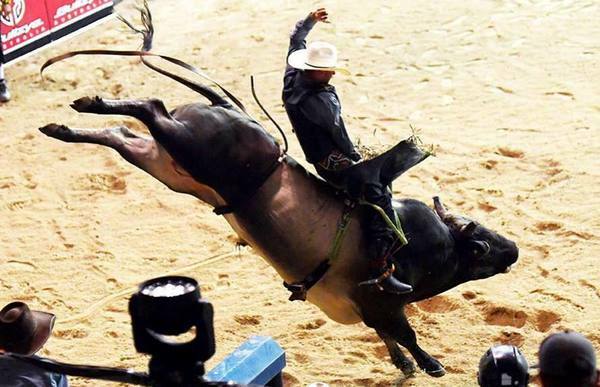 Warwick-born cowboy Lachlan Slade has booked his place to compete at the nation’s biggest Professional Bull Riding (PBR) event of the year – the crowning PBR Grand Finals in Townsville this Friday and Saturday November 23 and 24. Off the back of an impressive year of performances on the 2018 PBR Australia Tour, Slade has officially made the top-18 Australian rider-cutoff to qualify for the pinnacle year-end event, which will run at Townsville Entertainment Centre over two bumper nights of make-or-break action. The event attracts 18 of Australia’s top riders, as well as four key internationals, for a head-to-head battle that will ultimately decide the 2018 PBR Australia National Champion title. Slade will join a stellar field in the PBR Grand Finals line-up, along with almost every top rider on the current Australian Standings including fellow Queensland riders Aaron Kleier (Clermont), brothers Mitchell and Justin Paton (Nebo) and Ryan Storey (Mackay), as well as New South Wales hero Cliff Richardson, 2015 PBR Australia Champion Fraser Babbington and 2016 PBR Australian title holder Cody Heffernan. International riders confirmed for the Townsville line-up include former Brazilian number two Lucas Divino and fellow Brazilian riders Junior Quaresima and Rubens Barbosa. “The fight for the Aussie title is at full throttle pace – it’s down to the wire,” said PBR Australia general manager Glen Young.